A U.S.-Cuban Airlift Of Precious Cargo: Children In the early 1960s, thousands of Cuban parents put their children on airplanes bound for America. And as they fled Fidel Castro's regime, the kids were often met in the United States by George Guarch. 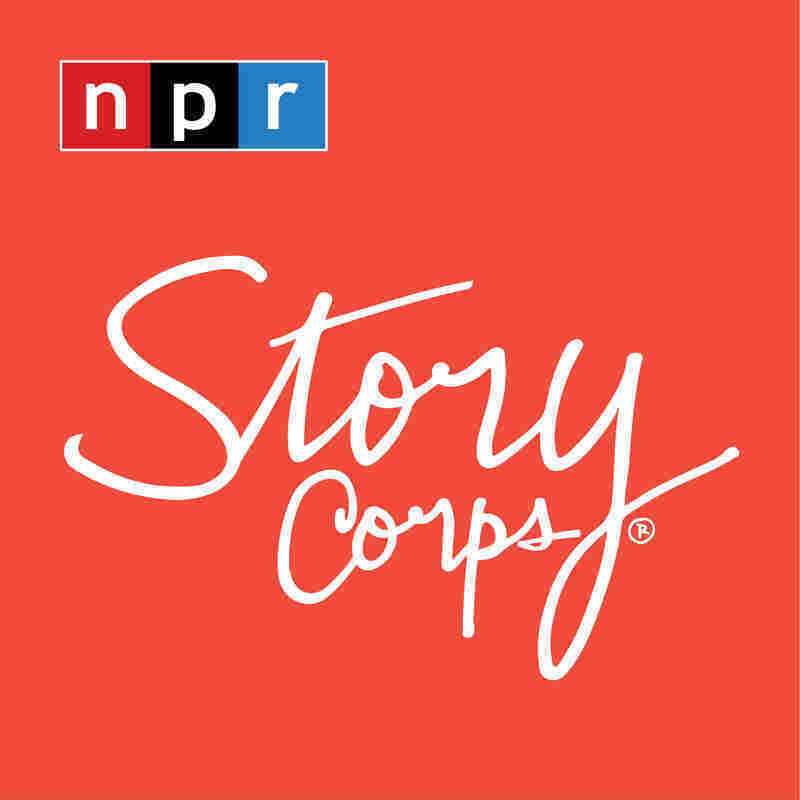 Fifty years later, his daughter speaks with a man her father helped. 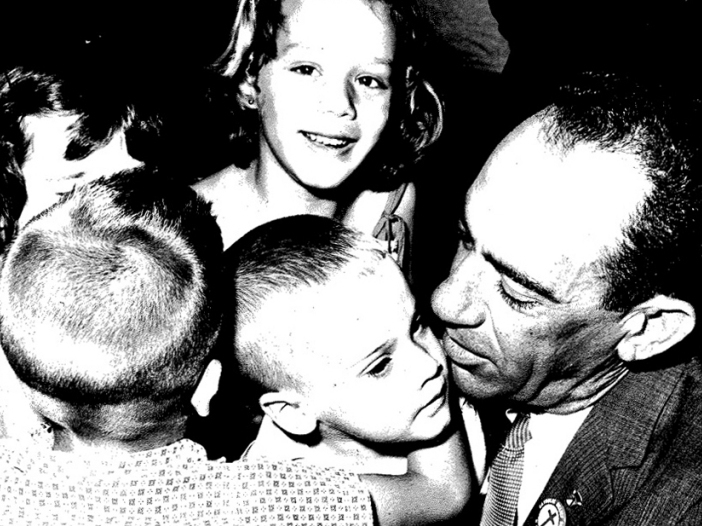 George Guarch greets children at the Miami airport in the early 1960s. His daughter, Lynn, says George would carry the youngest children off the planes. In the early 1960s, thousands of Cuban parents put their children on airplanes bound for America. And as they fled Fidel Castro's regime, one man stood ready to meet them at the Miami airport -- Jorge "George" Guarch. A Cuban-American fluent in English and Spanish, Guarch was the intermediary between the American authorities and the Cuban children. One of those young immigrants -- Pepe Noriega, now 67 -- recently spoke with Guarch's daughter, Lynn Guarch Pardo, about the massive airlift, dubbed Operation Pedro Pan, which started 50 years ago this week. But mostly, they discussed the man who helped thousands of children find their way to a new life. As Noriega remembers him, Guarch's "heart was bigger than his body. And things that were not possible, he will find a way to take care of that." Guarch worked for the Catholic Welfare Bureau, which helped organize the airlift of more than 14,000 children. The operation, which ran from 1960 to 1962, was partially funded by the U.S. government. When Pepe Noriega arrived in Miami on Oct. 11, 1961, he was 17. Jose "Pepe" Noriega and Lynn Guarch Pardo spoke in Miami about Operation Pedro Pan and George Guarch. Asked by Lynn how he felt when he got on that plane, Pepe says, "Well, it's like one life ended, and another one begin. We were away from our family for a long time, or maybe never see them again, you know. So it was very, very tough." "When was the first time that you heard about my dad?" Lynn asks. "My dad in Cuba said, 'When you go there, you're going to ask for George.' So I came out of the walkway to the plane, and there was a policeman. So I asked for George and he said, 'George? You cannot miss him. He is over there waiting for you guys to get out of there.' He was there every day. "So George took us to your house. And your mom prepared for us peanut butter and jelly sandwiches at the lunchtime. That's something I will never forget." Some children stayed with relatives they had in Miami. But many lived in camps set up by the Catholic Welfare Bureau. Some of the camps held hundreds of children. As they entered the United States, the children's names and ages were entered in George's logbook -- often the only record of their arrival. Recently, The Miami Herald used those records to set up an Operation Pedro Pan website, a community for the now-grown children who came to America 50 years ago. "I heard stories of siblings that arrived, and one of them was already 18," Lynn says. "And immigration worked with my dad there at the airport, and every once in awhile they would 'accidentally' spill a cup of coffee, smear the document, then change the date on the document to keep the kids together so that they would not be out on the streets right away." "That cup of coffee went around very often," Pepe says with a laugh. 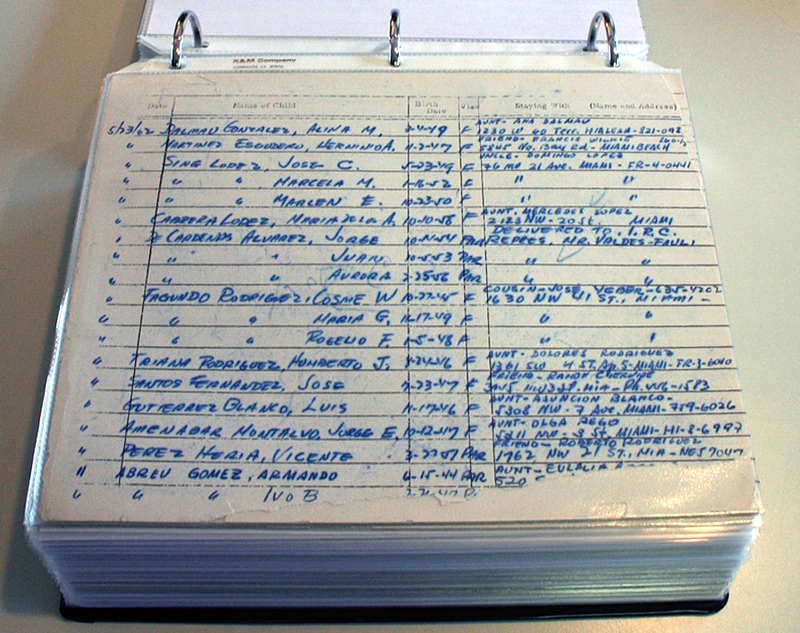 George Guarch kept the names and ages of arriving children in his logbook. 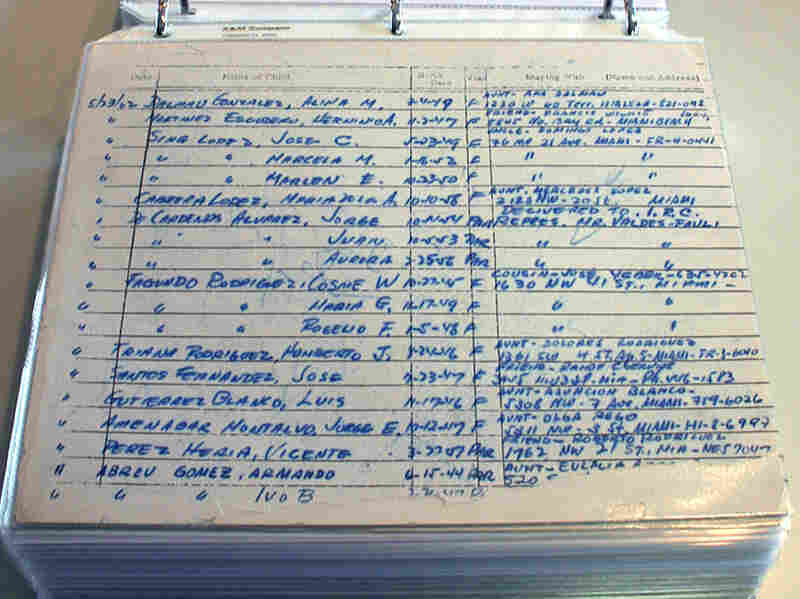 On this page, dated 5/23/1962, the far-right column lists any relatives the children might stay with. Once he entered the United States, Pepe worked at one of the the Catholic Welfare Bureau's camps for new arrivals. And in 1962, he was reunited with his parents. Later in his life, Pepe saw George, his benefactor -- and they started meeting for lunch once a week. "Wednesdays at 12 o'clock, either he will go to my office or I'll go to his place of work," Pepe says. "And we did that for many years, until one day that I went to get him -- and he has died the day before." "It'll be 20 years this May," Lynn says. "I remember the first time that I met you as an adult," she tells Pepe. "I remember you having tears in your eyes when you gave me a hug and told me how you felt about my father." "He was one of my best friends," Pepe says. "I've got five fingers. I only can count all my good friends with one hand, and George was maybe No. 1. And every time we talk about him, you're going to get wet eyes, too, believe me." 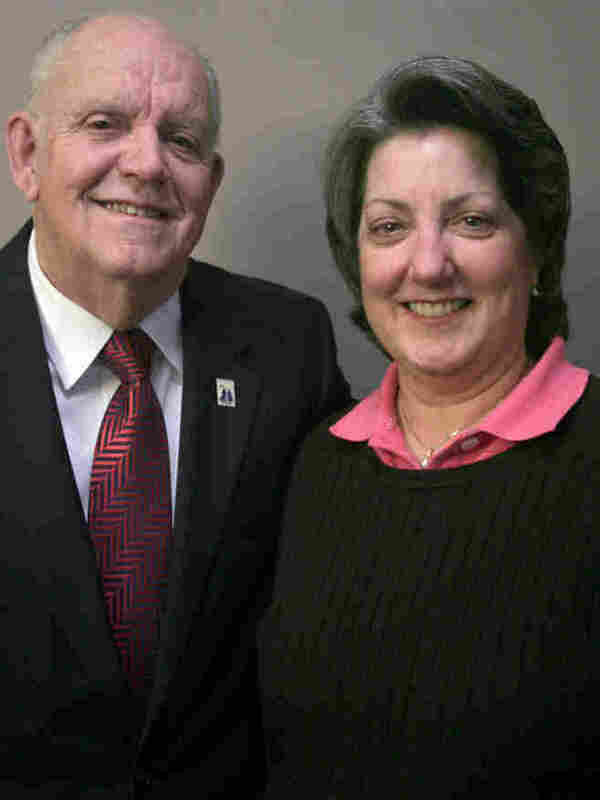 "Well, I'm glad he was there for you kids," Lynn says, "because I know he was the right person for that job." "I still miss him," Pepe says.